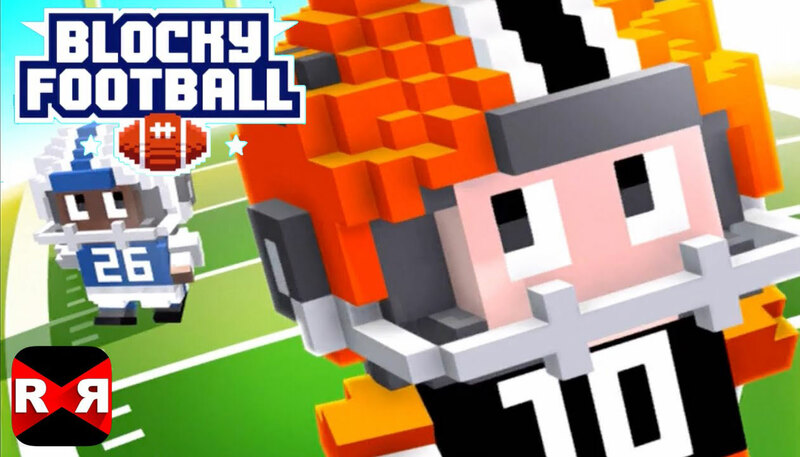 Blocky Football from Full Fat Studio takes elements of football and the endless runner arcade appeal of games like Crossy Road and molds them into one. While Blocky Football does have the same blocky 3D graphics of those games, you should not dismiss this as just another knockoff as it’s a lot of fun. Real American football can be bogged down by complicated rules, but Blocky Football takes a more fun, arcade style approach so it’s easier to spot holes in the defense and score. Full Fat is no stranger to making these kinds of games so it’s not surprising the controls are easy to learn. To run you just swipe your screen left or right and try to avoid the other players that are trying to block you. The objective of the game of course is to keep running until you reach the end zone and score a touchdown. Once you make a touchdown you can kick the ball and if it lands in the center of the field you’ll score points, but if the ball ends up veering to the left or right you’re going to lose points. The more points you score the more characters and options you will be able to unlock. When the defense is coming right at you, swipe to dodge and then tap to score the extra points with your kick. It should be pointed out this isn’t a football simulation so don’t expect complex rules here. If you’re a fan of endless runner games and football, you’re going to find the combination of the two here to be quite effective and entertaining.